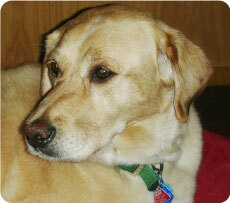 Lazar, The Good Deed Dog; Giving Love and Respect to Our Elderly is based upon a real living situation. Lazar, a Golden Retriever Rescue Dog, lives at the Fleischman Residence/Blumberg Plaza, Jewish Senior Life of Metropolitan Detroit -- a senior residence in West Bloomfield, Michigan. The lives of both Lazar and our seniors emerge healthier and happier from this unique and positive relationship. 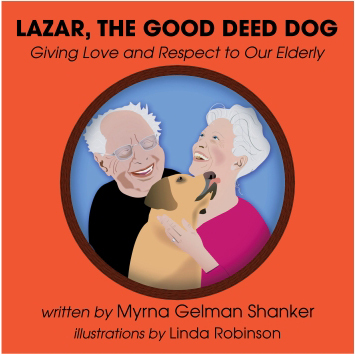 With illustrations and rhyme, we travel from room to room as Lazar visits and celebrates the rich and storied lives of our elderly. The book encourages children and their parents to share their time, love, and respect for the seniors in our families and in our communities. Lazar inspires good deeds and serves as a positive role model for children to do their part in making the world a better place.